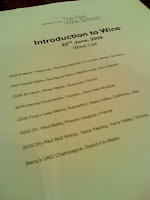 No meal review for tonight but instead I went for a wine tasting session at Berry Bros & Rudd @ The Lee Gardens. 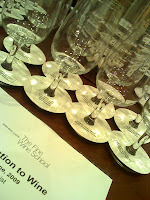 It was an Introduction to Wine course held at their retail location. 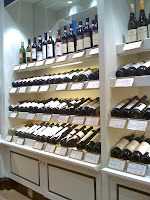 (As informed, they will be opening a wine school next door or nearby very soon). When my friend and I arrived, we were given a booklet or lecture notes which I was very impressed with. 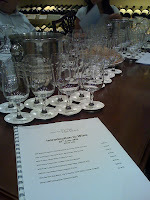 The whole session was being treated as a serious learning experience rather than just wine tasting ('drinking') from start to end. 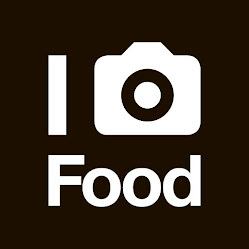 Sadly, I need to admit that I am not a "wine" person, but only a "food" person.